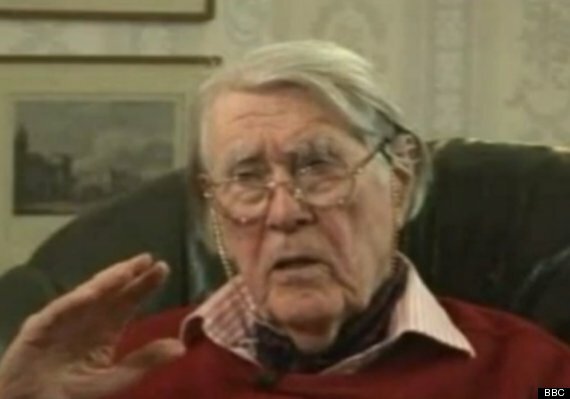 Raymond "Jerry" Roberts - one of the last of a top World War Two codebreaking team at Bletchley Park - has died, aged 93, following a short illness. Capt Roberts, from Liphook, Hampshire, was part of a group that cracked the German High Command's Tunny code at the British codebreaking centre. Their decrypts made it possible to read Hitler's own messages during the war. The team is credited with helping to shorten the war by at least two years. Capt Roberts joined Bletchley Park, in Buckinghamshire, as a German linguist and was among four founder members of the Testery section - named after its head Ralph Tester. Reminiscing years after WW2 - when he could finally talk about his work - Capt Roberts said he had taken delight in reading Hitler's messages, sometimes even before the intended recipient. It was "top-level stuff" referring to the movement of entire armies, he said. This stream of intelligence proved vital in the Allied D-Day invasion and helped save many lives. "We were breaking 90% of the German traffic through '41 to '45", Capt Roberts recalled in one interview. "We worked for three years on Tunny material and were breaking - at a conservative estimate - just under 64,000 top-line messages." He added it had been "an exciting time" whenever the team "started getting a break on a message and seeing it through". Capt Roberts later received an MBE and became a tireless ambassador for the memory of those who had served in secret. He spent years campaigning for greater acknowledgement of his colleagues, including Alan Turing, who broke the naval Enigma code. Capt Roberts said the work done at Bletchley Park had been "unique" and was unlikely to happen again. Capt Roberts worked at Bletchley Park, Buckinghamshire, until the end of the war before spending two years at the War Crimes Investigation Unit, and then moving on to a 50-year career in marketing and research.